On a blistery, grey day we warmed up with tea, scones and delicious mini éclairs by a grand fireplace. I was lucky enough to review numerous venues during my Grand Tour this year, but perhaps none so close to home as Stapleford Park. During this visit I returned to my birthplace, Melton Mowbray and ventured a short cab ride south to Stapleford. 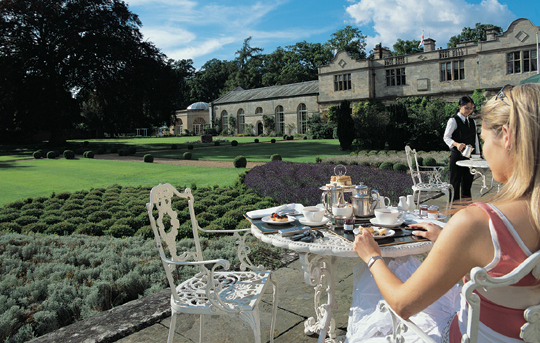 I must confess I’ve actually been to Stapleford Park for high tea before in the winter of 2007. On a blistery, grey day we warmed up with tea, scones and delicious mini éclairs by a grand fireplace. So, I was grateful to return in the dry heights of summer, this time adorning a long floral dress instead of a scarf! Like any English establishment, it is important to first appreciate the history before admiring the present. Stapleford dates back to the 14th Century and has passed through notable hands of the Sherards, Grettons, Paytons and most recently the Bruneis (yes, the Sultan). Set on 4,500 acres, Stapleford is also a luxury hotel and features the obligatory golf course, swimming pool, tennis courts and gym (in a converted Victorian stable block). A walk through the Grand Hall will reveal familiar faces (the likes of the late Michael Jackson and Mariah Carey) in photo frames dotted around the room. It seems many are willing to make the few-hour drive up from London for the space and privacy. 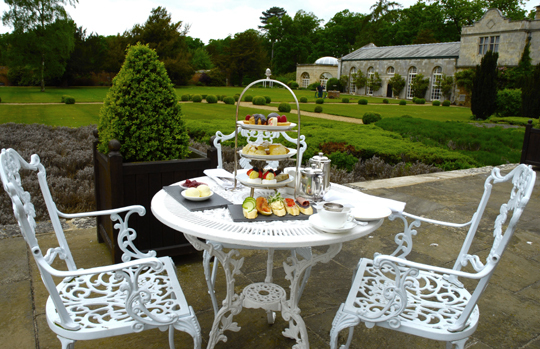 Afternoon tea at Stapleford is a great way to taste (literally) the delights of the Park with a more accessible price. 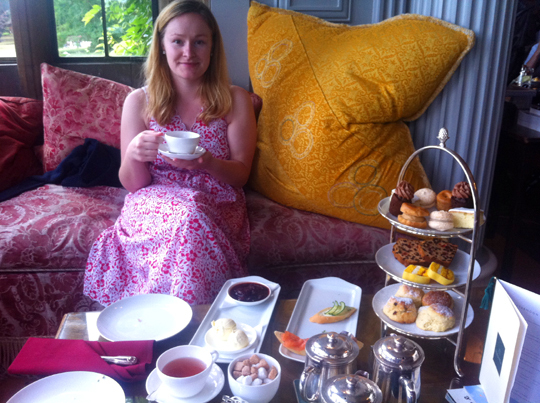 During our visit we chose the Full Afternoon Tea, which includes sandwiches, scones, cakes and pastries for £15.50. Over 20 types of Twinning’s Tea are on offer including everything from the expected English Breakfast and Earl Grey to Rooibos, Gunpowder and Vervain. Being a herbal enthusiast, my favourite was the Blackcurrant, Ginseng and Vanilla. The sandwiches, or rather topped baguettes, were delicious with the quintessential cress and egg, and cucumber and cream cheese a standout. 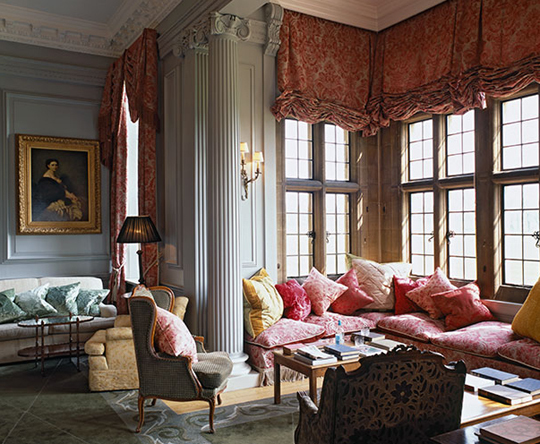 Seated in the Drawing Room, we enjoyed our tea before taking a turn around the manicured gardens – where fellow patrons played croquet and lambs frolicked in the distance. Bliss. For the experience alone, a trip to Stapleford is a must and I’ll be sure to return when I’m next in town. 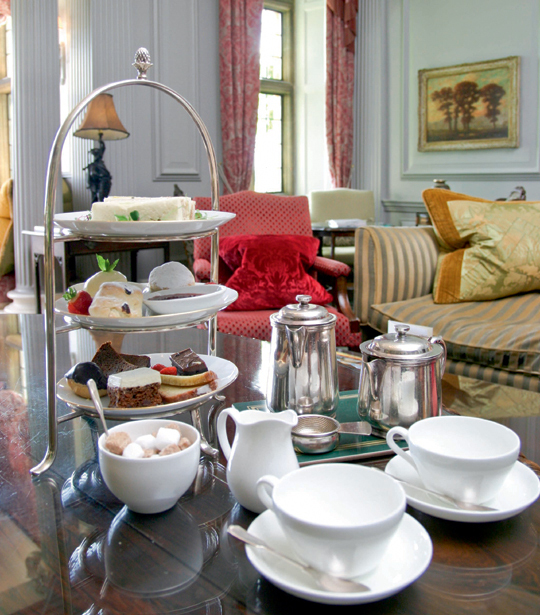 £8.50 per person (Cream Tea) through to £29.95 for the Champagne Full Afternoon Tea. The standard afternoon tea is £10.50. This doesn't include the discretionary 10% service charge.